The MLG15M diesel generator provides just the right combination of output, flexibility, ruggedness, efficiency and affordability for on-the-go, smaller-to-midsize, single phase power needs. 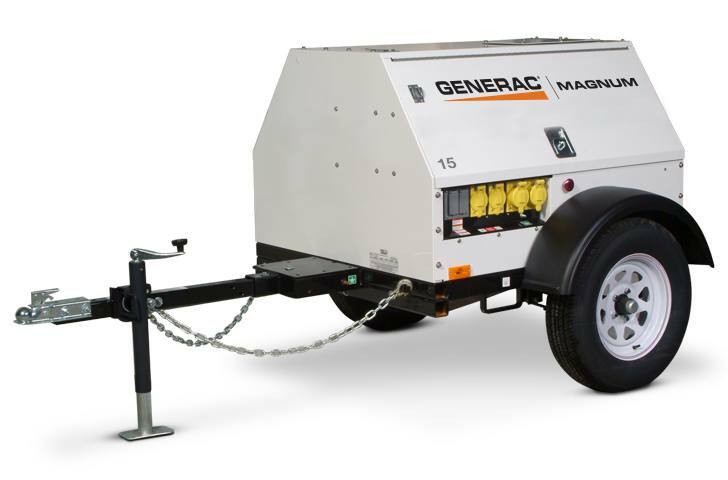 Generac|Magnum recognizes environmental responsibility and continues to meet emission regulations with the addition of their Interim & Tier 4 Generator line. The MLG15M generator is powered by a Mitsubishi diesel engine. Proven power you can trust, while maximizing fuel efficiency and high performance.